Jeff is a Certified Public Accountant/Personal Financial Specialist (CPA/PFS) with a focus on asset accumulation and distribution strategies, business and personal life and disability insurance, non-qualified compensation plans, retirement planning and charitable giving. 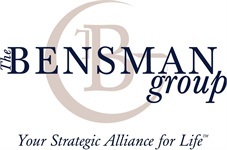 Prior to joining The Bensman Group in 1991, Jeff was employed by Price Waterhouse for over 13 years, providing business advisory services to rapidly growing middle market companies and their owners. Jeff is a graduate of Purdue University, West Lafayette, Indiana with a B.S. in Management. Jeff is a member of the AICPA (American Institute of Certified Public Accountants); Illinois CPA Society and previous member of the Illinois CPA Society's Personal Financial Planning Committee; NAIFA (National Association of Insurance and Financial Advisors) and Society of Financial Services Professionals. 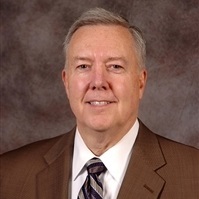 His community affiliations have included the Board of Directors of the DuPage Children's Museum for over 19 years, including seven years as its President, past President of the congregation of Trinity Lutheran Church as well as the Chairman of both the Finance and Building Committees. Jeff has three children, two grandchildren, and lives in Wheaton, Illinois with his wife, Janine. He enjoys volunteer activities, golfing, and traveling.